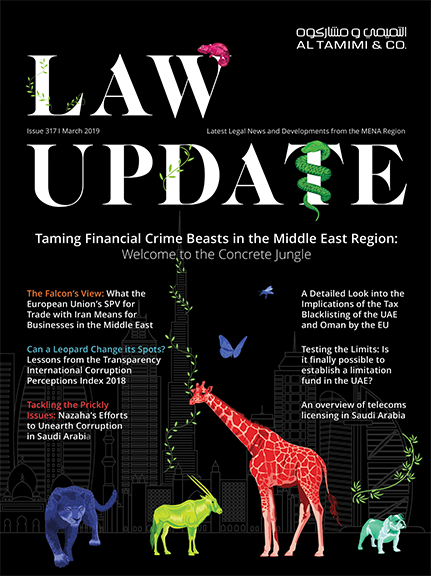 New rules in 2011 for Contracting Companies and Engineering Consultancies in Abu Dhabi: What are the new rules and what is required to comply with them? 2010 brought about significant changes for contractors and consulting engineers in Abu Dhabi with the introduction of new regulations relating to the classification of contractors (“Contractors”) and engineering consulting offices (“Consultants”). 2010 brought about significant changes for contractors and consulting engineers in Abu Dhabi with the introduction of new regulations relating to the classification of contractors (“Contractors”) and engineering consulting offices (“Consultants”). These new regulations will mean that all Contractors and Consultants must obtain a classification certificate as well as a commercial licence before they can tender for, or undertake work on, a construction or engineering project in Abu Dhabi. with each set of regulations and resolutions implementing separate regimes for Contractors and Consultants. Whilst the two regimes are broadly similar in their framework, the requirements for classification and certain minimum thresholds required to qualify to operate on projects of differing sizes are specific to each regime depending on various components of the applicant’s business. Classification is mandatory for all Contractors and Consultants and will be required in order for them to carry on business in Abu Dhabi. Under the regulations, existing Contractors and Consultants will have until the end of 2012 to obtain classification and new businesses will have one year from the date of issue of their commercial licence to comply. Classification is required regardless of whether a Contractor or Consultant is operating as a branch of a foreign company, or whether it is a locally incorporated limited liability company. While obtaining a commercial licence for a new business is the first step towards operating as a Consultant or Contractor in Abu Dhabi and is necessary to enable the business to hire staff or sign up for utilities connections etc., a new Consultant or Contractor will not be able to execute or engage in any projects until it has completed the classification process. Once classification is obtained, the Consultant or Contractor will be recorded in a Consultants/Contractors registry maintained at the Abu Dhabi Department of Economic Development (“DED”). Existing Contractors and Consultants who are already operating will generally be permitted to complete projects that have already commenced, but should obtain classification before they commence any new projects. However, in some cases a non-objection certificate may be obtained from the Consultant’s/Contractor’s department at the DED to permit work on new projects while the application for classification is being processed. Obtaining classification allows Contractors or Consultants to tender for and work on construction and engineering projects in Abu Dhabi. The value of the project, which a Contractor or Consultant wishes to engage in, will determine the requirements that the Contractor or Consultant must fulfil in order to obtain the requisite classification. The Consultant/Contractor must always conform to the category under which its business is classified. Contractors or Consultants can apply for classification for one or more specialisations within various fields of contracting or consultancy specified in the regulations. The fields of activity differ for Contractors and Consultants. The Contractor or Consultant may then apply for and be awarded classification at certain specific graded levels. The level at which a Contractor or Consultant is classified will determine the range of value of projects that the Contractor or Consultant will be permitted to engage in. As classification may be requested for one or more specialties, a Contractor or Consultant may obtain different levels of classification for its different specialisations. – the details of its health, safety and quality certifications and the level of insurance cover it holds. Each level of classification requires proof of compliance with particular thresholds pertaining to the above criteria. In its application for classification, a Contractor or Consultant must demonstrate that it meets the criteria for the level at which it wishes to be classified. The level at which a Contractor or Consultant is classified will determine the monetary thresholds applicable to projects which the classified Contractor or Consultant may participate in, as well as the ongoing requirements that the Contractor or Consultant must satisfy as part of its maintenance of classification. For example, Contractors with a “Special” level of classification may participate in the largest projects (over AED100 million for Contractors and over AED70 million for Consultants), but are subject to the most onerous requirements in terms of obtaining and maintaining classification. In order for a Contractor or Consultant to obtain classification under the Regulations, it must submit an application to the Consultant’s/Contractor’s department within the DED in Abu Dhabi along with all the documents relating to its business and evidencing its past experience, its staff qualifications and experience, financial standing and its health and safety and insurance records. The process of gathering the requisite documentation in order to obtain classification may take several weeks. Once an application is approved, it will be recorded in the appropriate register in the DED and the Contractor or Consultant will be issued with a certificate of classification. The certificate will include the date of classification, its term of validity, levels of classification, field and specialisations. Under the new regimes, classification certificates will be valid for two years. All Contractors and Consultants in Abu Dhabi will need to be aware of the new classification regime and determine what level of classification will be required for them to be involved in forthcoming or anticipated projects. The requirements to be satisfied in order for classification to be obtained are relatively demanding and the timeframe during which both new companies and branch operations (as well as those already operating in Abu Dhabi) have to ensure they are fully compliant with the Regulations and obtain classification is quite tight. However, it is arguable that the requirements of the new classification regime are proportionate given the importance and desirability of contractors and engineers being properly regulated and supervised, ensuring due compliance with health, safety and environmental standards in Abu Dhabi as well as ensuring the quality and safety of infrastructure and building projects for developers, investors, commercial occupiers and residents alike.